The SPARQ H2 gives you convenience of steaming hot or ambient filtered water, instantly. Now you can enjoy steaming hot drinks in an instant at your bar or kitchen. 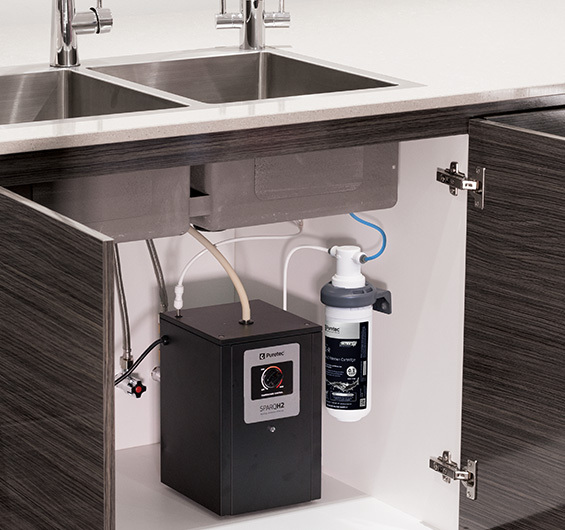 Whether used for a morning cup of tea or coffee or for commercial food preparation, the SPARQ H2 is ready whenever you are. 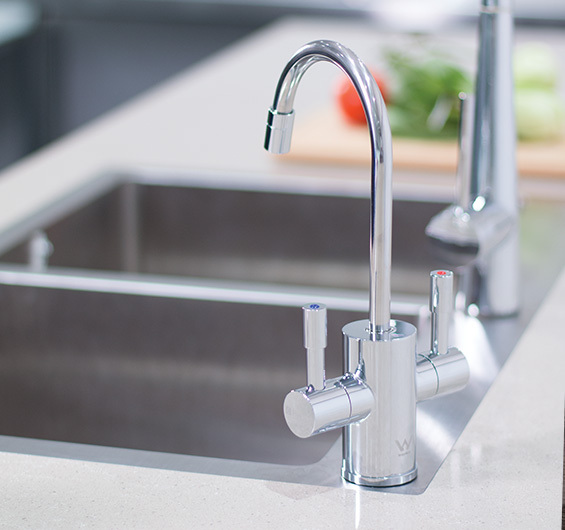 • This system provides filtered ambient or boiling water from a single, elegant tap. • Ultra Z Filtration Technology filters out chlorine, sediment, chemicals, taste & odour, bacteria and cysts down to 0.1 of a micron. 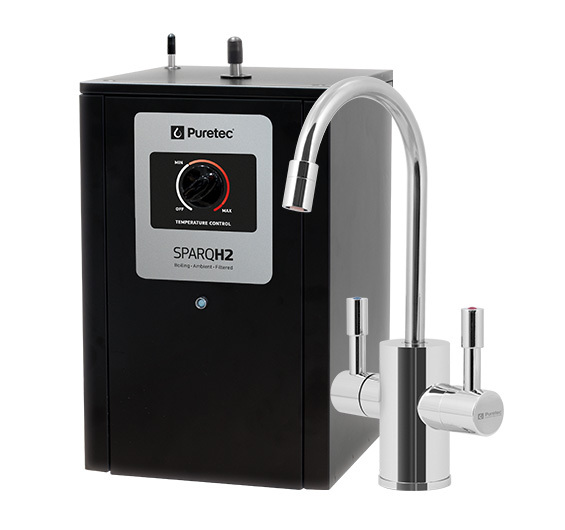 • The SPARQ H2 can deliver up to 60 cups of steaming hot water an hour. • Includes a lock on the hot water tap to prevent scalding, thermal fuse protection and water pressure protection. • The insulated hot water tank and Vapour Recovery Technology reduces heating time and conserves energy and water. • Adjustable water temperature from 60° to 98°. • The standby power usage is less than a 40W light bulb. ^2 Year warranty is 1 year parts and labour, plus 1 year parts only. Excludes cartridges.